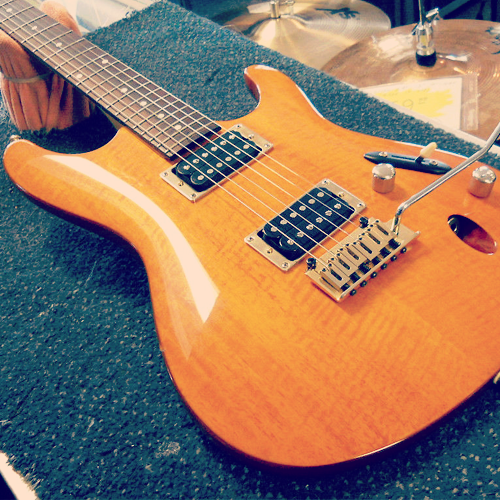 The Ibanez SV420FM is a Made-in-Korea super strat with a mahogany body, a flamed maple top, and a 22 frets maple neck. 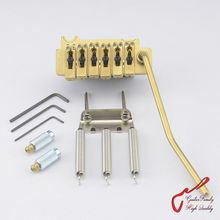 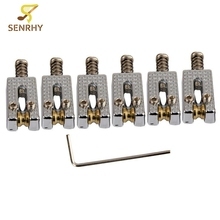 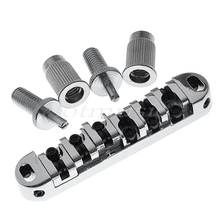 The SV series is derived from the Ibanez S series but features a standard tremolo instead of the Floyd Rose type tremolos. 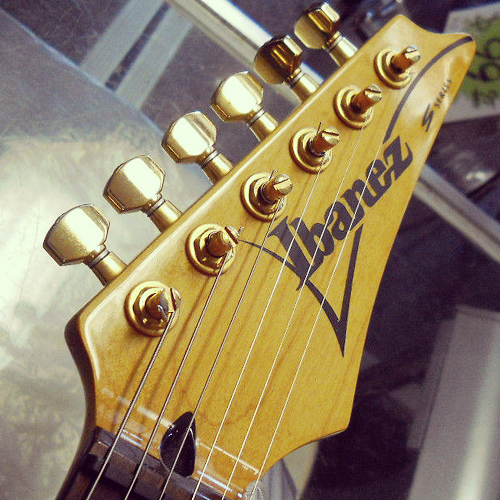 The Ibanez SV420FM has an Ibanez TZ30 standard tremolo and Ibanez locking tuners. 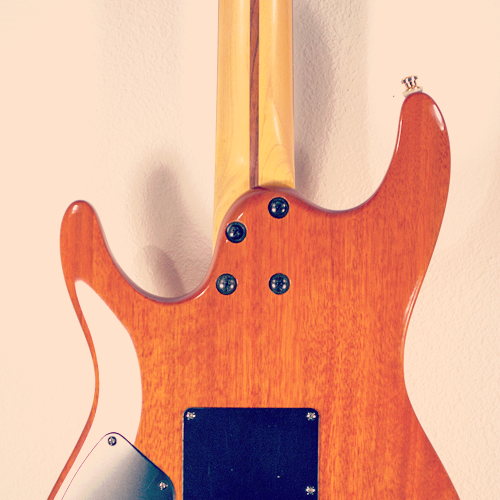 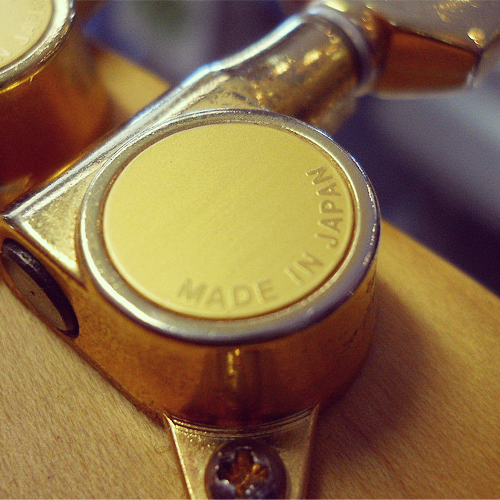 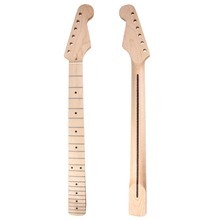 The neck featured here is a Viper neck with Ibanez' All Access Neck Joint (AANJ). 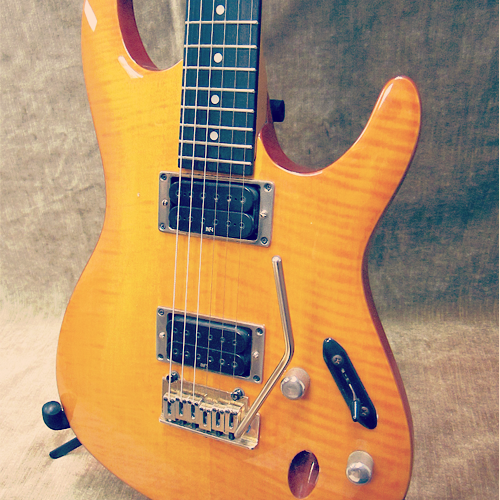 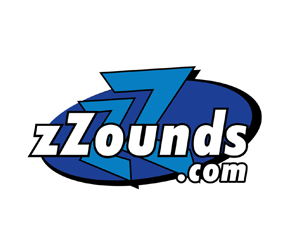 The HH pickup configuration consists of the Ibanez Axis AH1 humbucker and the Ibanez Axis AH2 humbucker.